Bangladesh University of Engineering and Technology, abbreviated as BUET, is the oldest institution for the study of Engineering and Architecture in Bangladesh. 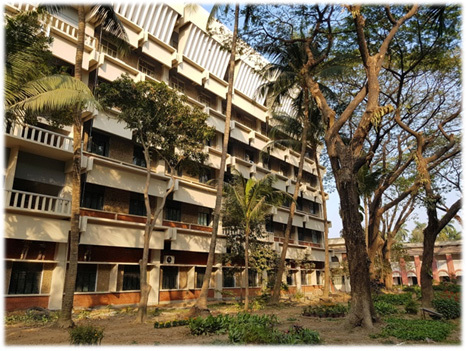 The history of this institution dates back to the days of Dhaka Survey School which was established at Nalgola in 1876 to train surveyors for the Government of Bengal of British India. As the years passed, the Survey School became the Ahsan Ullah School of Engineering offering three-year diploma courses in Civil, Electrical and Mechanical Engineering. In 1948, the School was upgraded to Ahsan Ullah Engineering College (on its present premises) as a Faculty of Engineering under the University of Dhaka, offering four-year Bachelor’s courses in Civil, Electrical and Mechanical Engineering with a view to meet the increasing demand for engineers in the country and to expand the facilities for advancement of engineering education. In order to create facilities for post graduate studies and research, Ahsan Ullah Engineering College was upgraded to the status of a University under the name of East Pakistan University of Engineering and Technology in the year 1962. After independence of Bangladesh in 1971, it was renamed as the Bangladesh University of Engineering and Technology. Starting with two faculties, the university has now been enlarged into five faculties. The faculty of Civil Engineering opened in 1980. After the Second World War, the then Government undertook major plans for industrializations of the Bengali. However, difficulties arose during the implementations of such plans as inexperience of the people was a major issue. People did not have adequate training to perform the works. It was obvious a solution to this problem became a necessity. Therefore, the Government selected a committee with the purpose of establishing an engineering college for the admission of 120 students in mechanical, electrical, chemical and agricultural engineering in 4-year degree courses and to transfer the school to the Palashi Barrack with an aim to enroll a further 480 students in civil, mechanical and chemical engineering for 3-year diploma courses. By the year 1947, in the month of August, the Ahsan Ullah Engineering School was promoted to Ahsan Ullah Engineering College and Mr. Hakim Ali was appointed as the principal. In February 1947, the then East Pakistan Government approved the college and gave permission to offer degrees in civil, mechanical, electrical, chemical, agricultural and textile engineering and diplomas in civil, mechanical and electrical engineering. However, in the end, agricultural and textile departments were withdrawn, and students were admitted in the Department of Metallurgical Engineering. During this period, the college was an affiliate of Dhaka University. As time passed, the growth of Ahsan Ullah Engineering College amplified. The semester system and a new curriculum were introduced in the year 1956. The prospectus became even better when the number of available seats in degree course was doubled from 120 to 240 in 1957. The diploma course was terminated in 1958. Over time, the Engineering University flourished with new opportunities and facilities. Academic expansion followed through the construction of civil building in 1968, the current library (1975), auditorium complex (1983) and E.M.E building in 1984. Expansion works proceeded on a continuous basis and the university saw further extension of the Civil Building by 1992 while the construction of the Academic Council building finished in 1993. 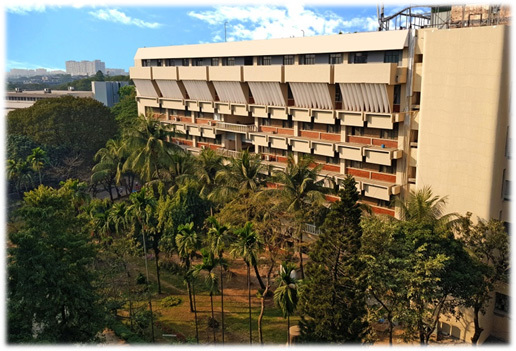 To expedite the developments further, the seventh floor of Civil Engineering building and the sixth floor of E.M.E building were simultaneously completed by 1996. In 2005, supports and initiative from the Ministry of Communication of the Government of Bangladesh helped founding an institute, equipped with modern facilities, called the “Accident Research Institute”. The main objectives of the Institute are to carry out scientific research and investigation to ascertain the causes of accidents on roads, railways and waterways in Bangladesh. Moreover, the Government of Japan came forward and provided financial supports and subsequent initiatives from the Government of Bangladesh saw the establishment of BUET-Japan Institute of Disaster Prevention and Urban Safety (BUET-JIDPUS) in Palashi. A multistoried academic building was also constructed in the same place which is already operational. The Civil Engineering Building, with its unique design, stands at the heart of the Main Campus. 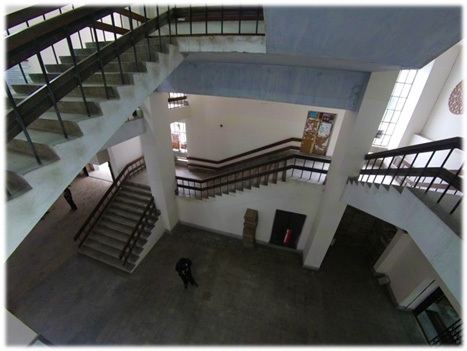 The 7-storeyed building has two wings, each with a length span of 200ft and a width of 60ft, separated by a considerably large lobby and staircase. The academic classes are mostly taken on the 1st and 2nd floor, inside large rooms with excellent ventilation and a great view of the beautiful green campus on either side of, providing the students with a captivating atmosphere. The laboratories are distributed within the premises according to the most suitable convenience, which are always running not only for the students but also for important tests carried out for Government and private organizations. 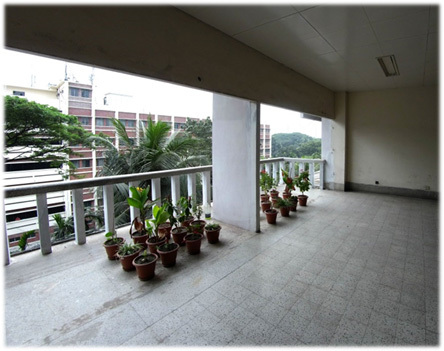 The teachers’ rooms are located all around the 3rd, 4th and 5th floor with the department’s office and the Head’s office being situated in the west wing of the 3rd floor. There is also designated prayer space for both men and women and a library on the 4th floor that can meet the demand of any student of the department.